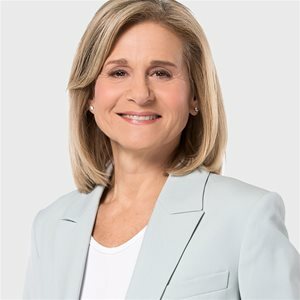 Barbara Williams is Executive Vice President and Chief Operating Officer of Corus Entertainment Inc., where she oversees all strategic and operational aspects of Corus’ content across conventional and specialty television, Nelvana, digital, and radio properties. Prior to her current position, Ms. Williams served as Shaw Media’s President, overseeing all aspects of the company’s business. Prior to this, Ms. Williams was Senior Vice President of Content for Shaw Media, responsible for the creation of Canadian original productions, acquisition deals of top U.S. and international series, and scheduling for the company’s conventional network and 19 specialty channels. Before joining Shaw, Ms. Williams served as Executive Vice President, Content at Canwest Broadcasting, Vice President and General Manager of Toronto 1, and Senior Vice President of Lifestyle Programming at Alliance Atlantis. Ms. Williams holds a Bachelor of Arts degree from the University of Toronto and a Masters in Telecommunications from Syracuse University. She currently sits on the board of the Canadian Film Centre. She was previously a board member of Canada’s Walk of Fame and the former Chair of the Banff World Media Festival. Ms. Williams has been recognized with numerous industry accolades, including recently being named one of Canada’s Most Powerful Women: Top 100 by the Women’s Executive Network (WXN). She also received the Outstanding Achievement Award from Women in Film & Television (WIFT), the Chair of Distinction Award from Women in Communications and Technology (WCT), and was named one of the 20 Most Powerful Women in Global Television by The Hollywood Reporter.